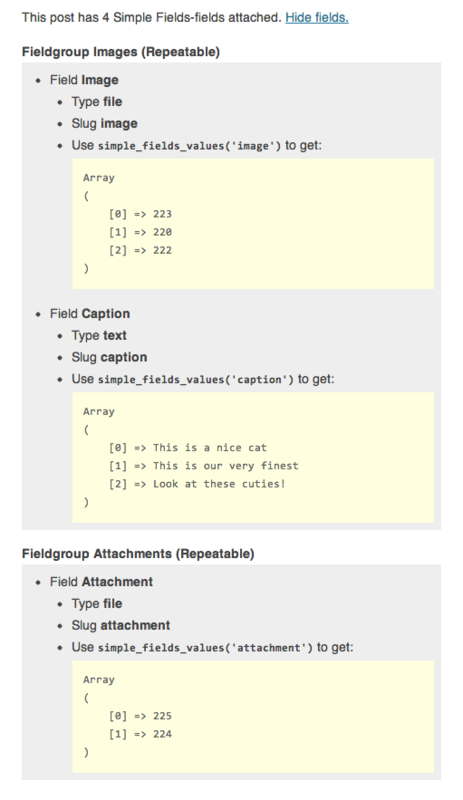 The debug output is a great way to see what values that exist for each post. To enable: Go to Settings -> Simple Fields -> Select debug in the dropdown -> Save -> Visit site -> enjoy! … and the debug box opens up with information about all the added fields and their contents.